3 Ears of corn (sweet or yellow). 3 Fresh Tarragon Sprigs (for garnish). 1. Remove husk from corn and prepare for rub. 2. In a small bowl mix together the saffron, ghee and curry powder. 3. 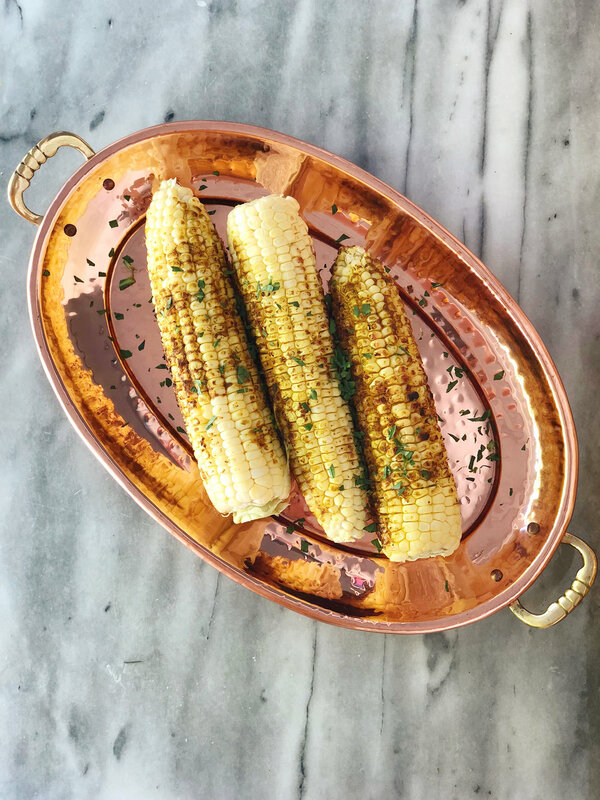 Rub the spice mix onto the corn and cook on the grill on a med-high heat for about 3 to 4 minutes per side, or until fully cooked. 4. Once the corn is cooked, sprinkle with freshly chopped tarragon, and enjoy!